This year we started our honey bee farming project. I wanted to do this for the last couple of years but for one reason or another, it didn’t work out until this spring. Now we have happy honey bees buzzing around a healthy hive colony and it really wasn’t that hard to accomplish. Despite some family misgivings, I really felt the bees would be a welcome addition to our homesteading progress. When my neighbor also was planning to start bees, we decided to share the first hive so we could learn together. I want to share with you how to start a honey bee farm. Apiculture is the practice of keeping and maintaining bees and their hives. The beekeeper is also referred to as the apiarist and the entire colony set up is called the Apiary. 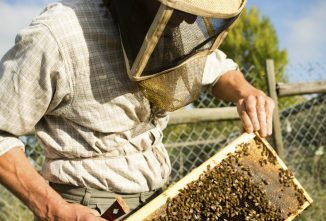 Beekeeping has grown in popularity in recent years and the raw honey, beeswax, and royal jelly are much sought after products. 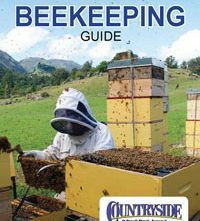 When adding bees, first take the time to learn how to start a honey bee farm because it deserves some unique considerations. Just as when adding any animal to the farm, being prepared before the bees come home, will help you be successful. Bees will require water, sun, a sturdy hive, and during some parts of the year, they may require feeding. It is nice to position the hive against a protected fence or tree line if available. 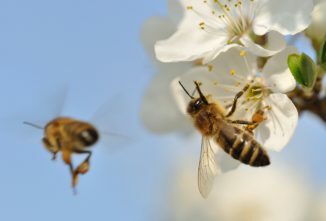 Bees will fly a long distance every day to find enough pollen. Grasses, trees, herbs, flowers, and weeds all produce pollen that is used by bees to feed the hive. 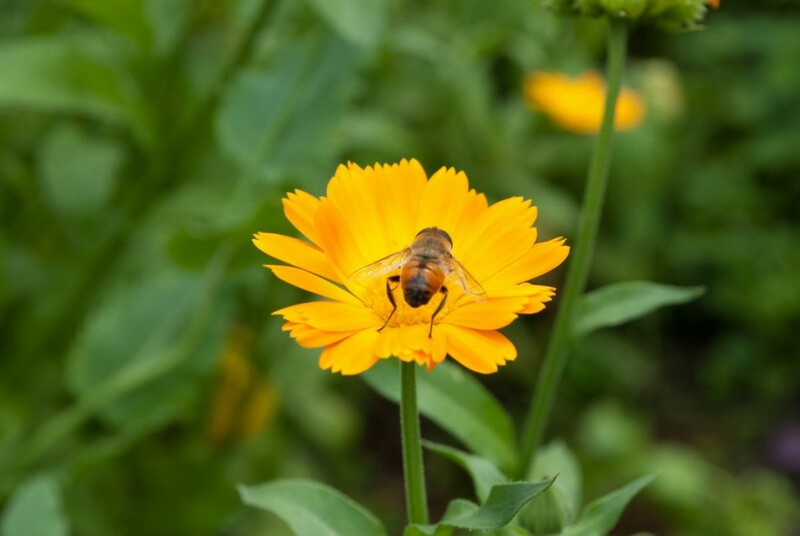 You don’t need to have a flourishing flower bed in your yard, but having a varied garden will help the bees get enough food. When you purchase the hive or the component parts the wood is unfinished. You will need to stain or paint the wood in order to protect it from the winter. Ours is painted with exterior paint, to match my neighbor’s house since the hive is on her property and is shared between our two families. The choice is yours to make, but your hive will be out in the weather so the wood needs to be protected somehow. Before we get into the types of hives and the location, let’s discuss the bees themselves. 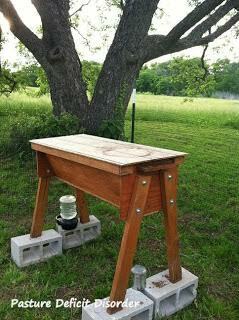 For our first hive, we chose to purchase a nuc (short for nuclear colony), from a local apiary. This is not the only way to get started. 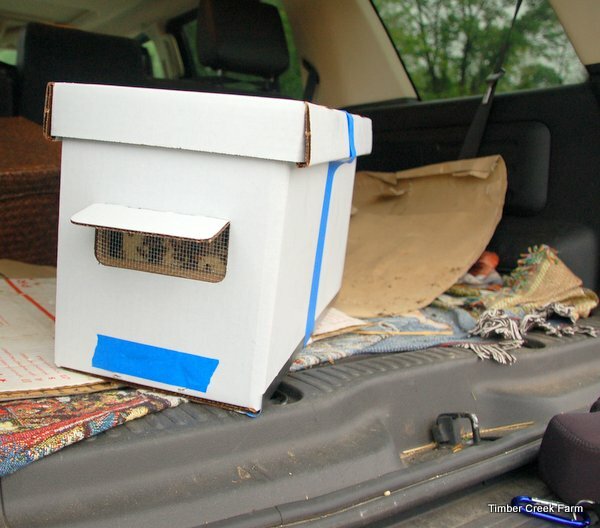 You can also purchase a package of bees and a separate queen, or you can capture a swarm if one happens to take up residence on your property. 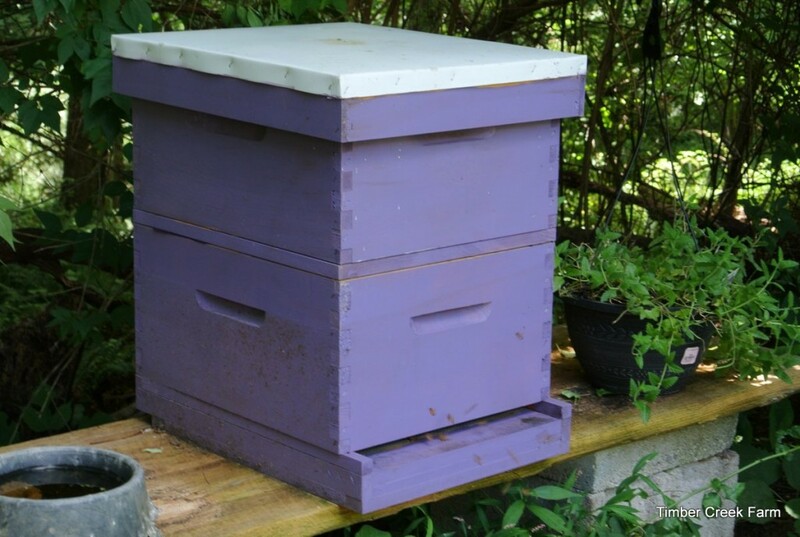 The advantages of buying a nuc when starting beekeeping is that the bees are already starting to produce comb and honey when you bring them home. 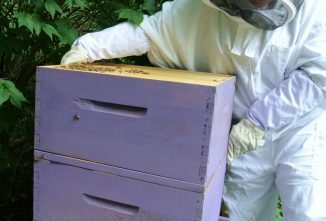 You simply put on your bee protective clothing and transfer the ten frames from the cardboard box, into your hive. The colony has already accepted the queen, and they have mated with her so you have varying ages of brood ready to mature and take over as older bees die out. The nuc being loaded into the car. Skep – Long ago, beekeepers used something called a skep to house bees. This is no longer used because it is hard to remove the honey from the skep and this type of hive is difficult to clean and can become unsanitary. Although they are no longer used, skeps can be a decorative addition to a collection of vintage farming equipment. Top Bar – The Top Bar beehive looks similar to a trough used for animal feeding. The bees make their own comb by drawing it down from the wooden bar inside the top of the hive. 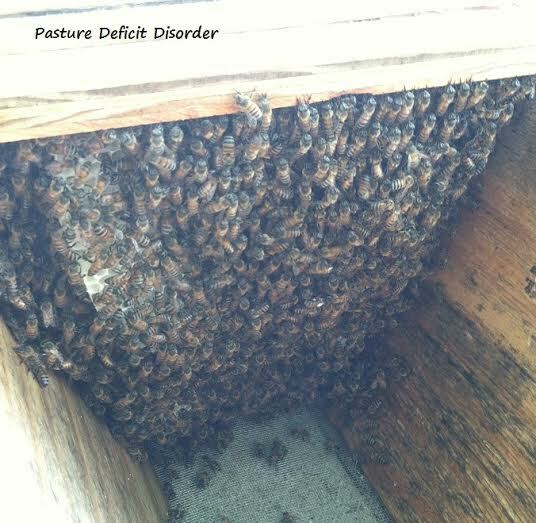 Langstroth – In many parts of the country, the Langstroth beehive is what you will commonly see. The Langstroth consists of wooden boxes called supers, stacked on top of each other. They are sitting on a base called the foundation board and topped with a lid or cover. 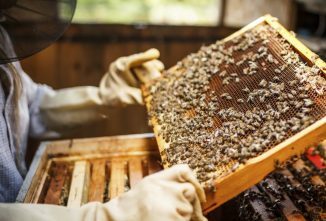 Inside, the bees create their comb and fill the cells with honey on waxed frames that hang vertically inside the super. 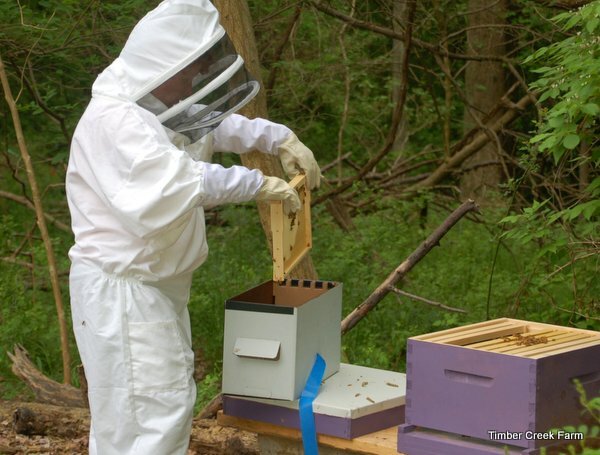 Langstroth is the type of hive we chose to use. Warre – The Warre has been compared to a cross between a hollowed out tree and a top bar hive. 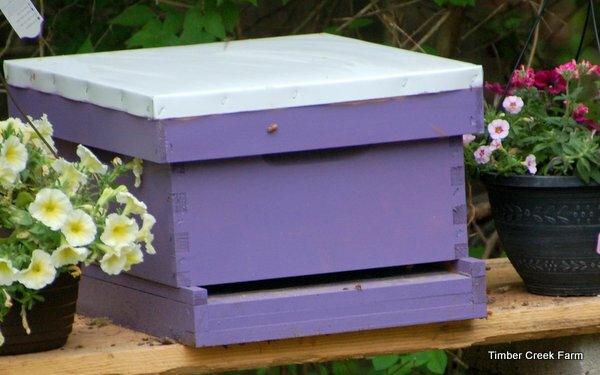 The Warre Hives are smaller than the Top Bar and the Langstroth versions. I actually think I would like to try one of the Warre hives one day. No matter which type of hive you start with, use cinder blocks, a table or stacked pallets to raise the hive up from ground level. We chose a spot for the beehive that received sun but was also in some shade to protect the colony from overheating. The growth near the hive would provide some nearby pollen and provide some protection from the elements. This seems to have worked out just fine for our beehive. The bees will stay active as long as the sun is shining. Orient the door away from any traffic area near your house or barns. In other words, you don’t want to be walking through the flight path the bees use to get back to the door of the hive. 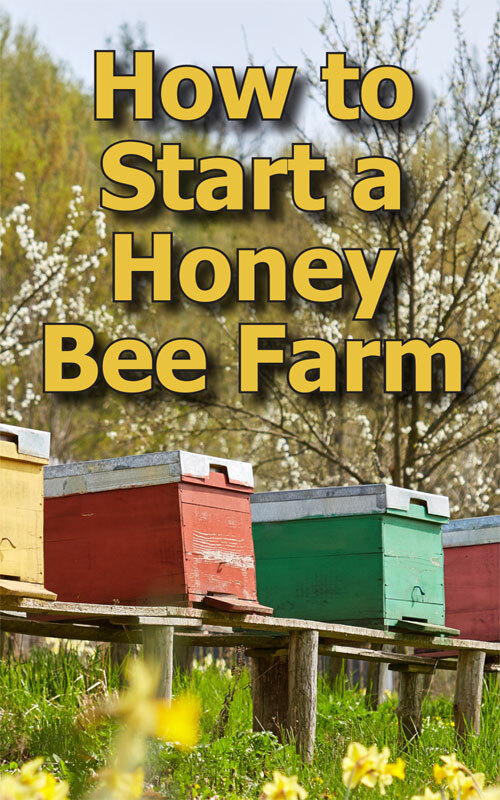 Good luck learning how to start a honey bee farm on your homestead or backyard. 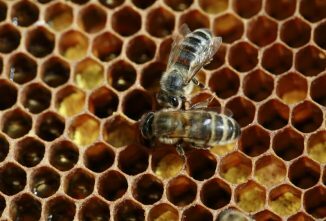 What Causes Colony Collapse Disorder in Honey Bees?